Thank you for choosing to be part of our community at Edelice Center for Ethnobotanical Services (“Company”, “we”, “us”, or “our”). We are committed to protecting your personal information and your right to privacy. If you have any questions or concerns about our policy, please contact us at: aunia@auniakahn.com. In Short: We may collect limited data from public databases and other outside sources. We may obtain information about you from other sources, such as public databases. Examples of the information we receive from other sources include social media profile information. In Short: We process your information for purposes based on the fulﬁllment of our contract with you, compliance with our legal obligations, and/or your consent. 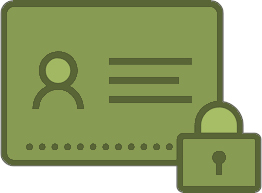 We use personal information collected via our Sites in order to enter into or perform a contract with you, with your consent, and/or for compliance with our legal obligations. We indicate the specific processing grounds we rely on next to each purpose listed below. Consent: We may process your data if you have given us speciﬁc consent to use your personal information in a specific purpose. Performance of a Contract: Where we have entered into a contract with you, we may process your personal information to fulﬁll the terms of our contract. In Short: We do not knowingly collect data from children under 18 years of age. We do not knowingly solicit data from children under 18 years of age. By using the Sites, you represent that you are at least 18 or that you are the parent or guardian of such a minor and consent to such minor dependent’s use of the Sites.